Translation for Text "Verry Chrismas" in 85 Languages (Slideshow over the Stage) in "Chrismas_Macarena.xsf" file. Format .rft and .xls. 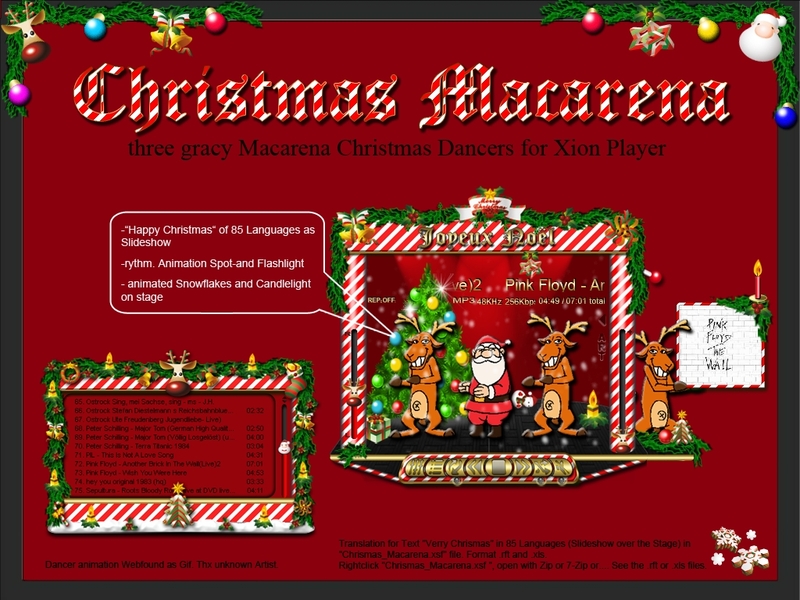 Rightclick "Chrismas_Macarena.xsf ", open with Zip or 7-Zip or.... See the .rft or .xls files. The graphics and animations are WOW!!! Thank you Fleescher01!! !